Just a word of caution for folks who are coming to DeKorte Park for the cleanup on Sunday (from 10 a.m. to noon). 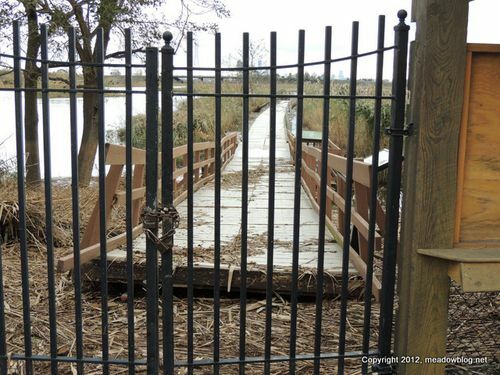 The park suffered quite a bit of damage, so if you are seeing DeKorte for the first time post-Sandy, brace yourself. Some visitors have found it upsetting. You'll see pieces of boardwalk missing, plus other damage both major and minor. You'll see parts of boardwalk moved several hundred yards to the next tidal impoundment. You'll see lots of litter. And you'll be part of the recovery efforts. Thank you.